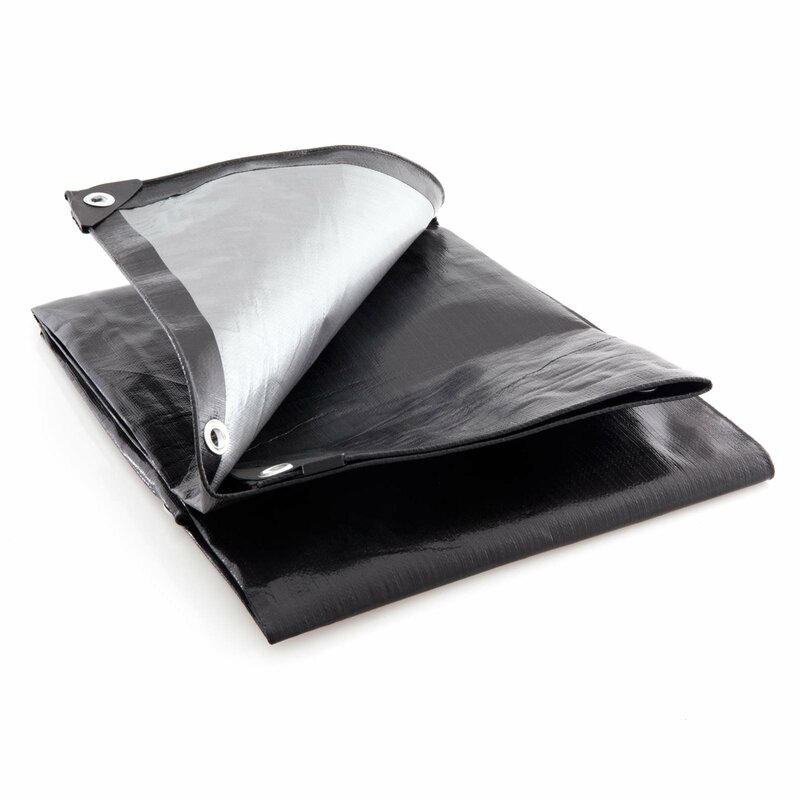 3m x 3.6m black/silver waterproof heavy duty tarpaulin sheet cover, with an approx weight of 270gsm. 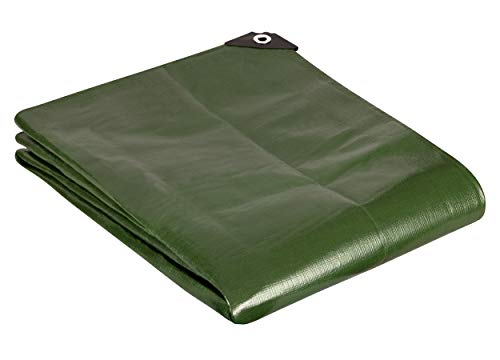 A tight 16 x 16 per sq inch weave count & chunky 12mm aluminium eyelets at 100cm intervals mean this tarpaulin is a tough cover which is more likely to stand up to the rigours of year round usage. Popular as roofing covers, industrial covers, in agriculture, for groundsheets and boat tarps. Like all our tarpaulins the material is waterproof and flexible in sub zero temperatures. There is also a 3% UV inhibitor in the polyethylene to ensure the material does not degrade prematurely due to the effects of the sun.